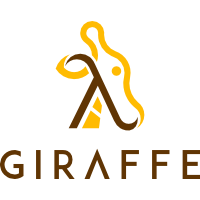 After 6 months of working on Giraffe, lots of improvements, great community contributions and running several private as well as commercial web applications in production I am really happy to announce that Giraffe is finally going Beta. This might not sound like a big milestone to you, but given that I was very hesitant on pre-maturely labelling the project anything beyond Alpha and the many breaking changes which we had in the past it certainly feels like a big achievement to me! After plenty of testing, tweaking, re-architecting and some real world exposure I think we finally reached a point where I can confidently say that the external facing API will remain fairly stable as of now - and seems to work really well too ;). Since the last blog post I have made several improvements to the previously known functional HTML engine, which has been renamed to a more generic XmlViewEngine now. The new changes allow the XmlViewEngine to be used beyond simple HTML views and can be used for things like generating dynamic XML such as SVG images and more. Personally I think the XmlViewEngine is the most feature rich and powerful view engine you can find in any .NET framework today and I will certainly dedicate a whole separate blog post on that topic alone in the near future soon. One particular big change which we recently had was the move from binding HttpHandler functions to chaining HttpFunc continuations instead. The HttpHandler function has changed its signature from a HttpContext -> Async<HttpContext option> to a HttpFunc -> HttpFunc, whereas a HttpFunc is defined as HttpContext -> Task<HttpContext option>. The main difference is that a HttpHandler function doesn't return Some HttpContext any longer (unless you want to immediately short circuit the chain) and is responsible for invoking the next continuation function from within itself. If you think this sounds very similar to ASP.NET Core's middleware then you are not mistaken. It is the same concept which brings several benefits such as better control flow and improved performance. All credit goes to Gerard who worked on this big change entirely from concept to implementation on his own. Another architectural change was that Giraffe works natively with Task and Task<'T> objects now. Previously you would have had to convert from a C# Task<'T> to an F# Async<'T> workflow and then back again to a Task<'T> before returning the flow to ASP.NET Core, but not any longer. If you paid close attention in the previous example then you might have noticed that a HttpFunc is defined as HttpContext -> Task<HttpContext option>. Apart from the additional convenience of not having to convert between tasks and asyncs any more, this change netted us a two figure % perf improvement overall. The original code for Giraffe's task implementation has been taken from Robert Peele's TaskBuilder.fs and minimally modified to better fit Giraffe's use case for a highly scalable ASP.NET Core web application. Again, all credit goes to Gerard and his endless efforts in improving Giraffe's overall architecture and performance. First of all, as Giraffe has officially entered the Beta phase you can expect a much more stable API with no to minimal breaking changes going forward. Next there are still many ways of improving the internals of Giraffe.Tasks which we think will yield even further perf improvements. Additionally Gerard plans to implement an alternative trie routing API which should promise another perf gain on web applications with large routing layers as well. Another area where I would like to focus on more in the future is in providing more sample applications and templates which will help people to get up and running with Giraffe in as little time as possible. Also I would like to blog more about my own usage of Giraffe and show case a few production applications with a closer look at some stats, deployments and general tips & tricks. I hope you like the latest changes and are still as excited about Giraffe as I am or even considering to build your next F# web application with the fastest functional .NET web framework you'll find anywhere today ;). If you already use Giraffe for a commercial or hobby project please let me know in the comments below and I can feature you in the official GitHub repository if you like. Thanks for reading and stay tuned until next time!